Doctor of Engineering Science, Professor, Head of Chemical technology and industrial ecology chair of the Samara State Technical University, Honorary Worker of Higher Professional Education of the Russian Federation, honored ecologist of the Samara region. Andrey Vasilyev is the head of the scientific school in the field of environmental engineering, environmental monitoring and complex problems of engineering. It was supported by the grant of the President of the Russian Federation within the framework of competition for leading scientific schools of Russia. Andrey Vasilyev developed the theory of multi-functional active and hybrid compensation of low frequency sound and vibration of machines and plants, the theoretical basis of the multifunctional compensation vibration and mechanical noise of power plants and associated mechanical systems. He developed the methodological basis of classification of active and hybrid compensation of low frequency sound and vibration for energy plants, which allow to find effective solutions for various problems of reducing low-frequency sound and vibration for power plants of various types (AV Vasiliev - Monograph, St. Petersburg, 2004). Andrey Vasilyev offered a method for reducing a complex low-frequency sound and vibration generated by internal combustion engines. He developed and tested the theory and design schemes of multifunctional devices for active compensation of low frequency sound energy machines and systems. Andrey Vasilyev has published over 500 scientific papers, including 7 monographs, more than 10 textbooks and teaching aids. Andrey Vasilyev is the author and co-author of more than 20 inventions and software products. He is a repeated winner of the RFBR grants, RHSF, and the grant of the German Academic Exchange Service for scientific training at the Fraunhofer Institute of Building Physics (Stuttgart, Germany), the grant under the program ‘Open World’ (USA) and others. The main results of scientific studies were presented at international congresses and conferences in Germany, Hungary, Italy, the Netherlands, China, Latvia, Great Britain and other countries. Andrey Vasilyev is the organizer and supervisor of Russia's largest international environmental conventions (scientific and technical conferences) ELPIT, ongoing since 2003. He has been an expert of SRI FRCEC since 2012. 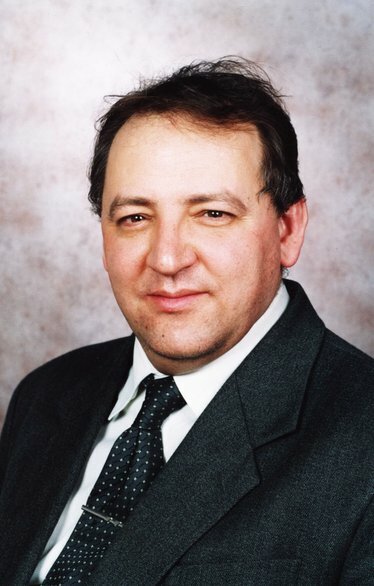 Andrey Vasilyev is a member of the editorial boards of several scientific journals from VAK list: ‘Ecology and Industry of Russia’, ‘Safety in Technosphere’, ‘Life Safety’, 'Proceedings of the Samara Scientific Center of the Russian Academy of Sciences’, et al., as well as international scientific journals and publications.